Who has most interest in your cleaning? In most cases the transport is the direct customer. However given cost pressure in the supply chain, he is most often interested in fast and cheap cleaning. The cargo owner however has the real interest in your cleaning capabilities. CleanSecure offers an independent technology platform. 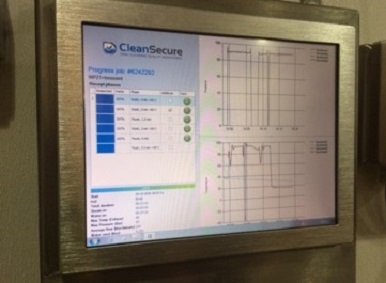 Based on real process data captured by sensors, objective validation of the cleaning processes is done. It is used to connect with different actors over the supply chain industry, to create traceability and costs control. A cleaning station is an industrial production facility. Make sure that your processes are always constant and in line with your costs calculations. The ProgressMonitor helps you to be in control of your operations, based on principles of Lean Manufacturing.